Tarpon Springs fishing guide Captain Jim Lemke opens up a whole new world of fishing opportunities for Tampa area visitors in the Tarpon Springs fishery. This fishery is located just to the North of the Old Tampa Bay/Clearwater area and offers excellent angling opportunities. From shallow flats to backcountry channels, this place has it all for a guaranteed day of excitement on the water. 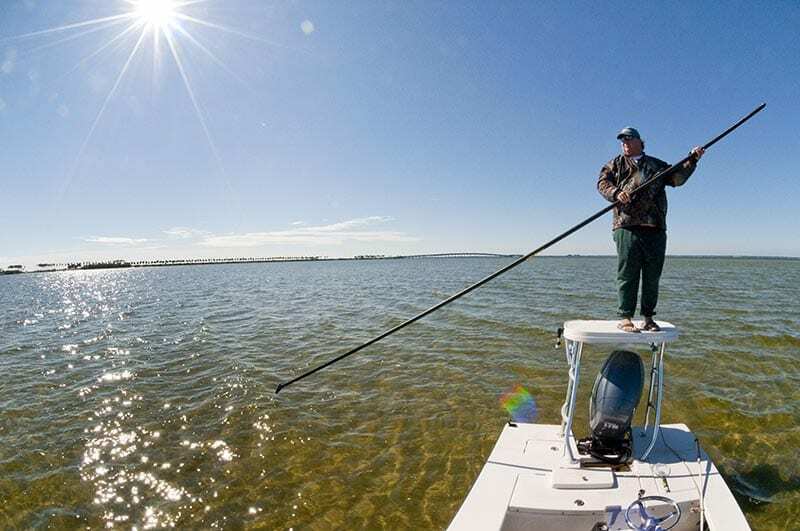 This inshore fishery includes some of the most highly sought after Florida flats fishing species These include inshore fishing trips for Spotted Sea Trout, Redfish, Snook & Tarpon. With light tackle or fly tackle, the choice ic clear to make this your next fishing destination. Let Light tackle Adventures put you on the fish in one of the most amazing fisheries in the state. If you like flinging flies, you’ve come to the right place! Capt. Jim has been running Tarpon Springs fly fishing charters for 20+ years. Fly fishing has always been a passion for Jim and he loves sharing his experiences and expertise with both avid and novice fly anglers alike.